The writer and performer of reggae music known as George P has released his latest official album, “The Ghetto Prezident.” The album has been proudly published on the Shines Production independent music label without the direction of the corporate music industry. Aggressive, packed with spirit, and representing the truest form of the reggae tradition today, “The Ghetto Prezident” proves that George P is one of the most legitimate sources of the urban island sound for 2018 and beyond. Asked to describe his major themes on “The Ghetto Prezident,” George P mentions “the struggles of ghetto youths in Kingston, Jamaica.” He also notes track Number 3, “Gone,” a particularly personal song which deals with the deaths of both his mother and his best friend. 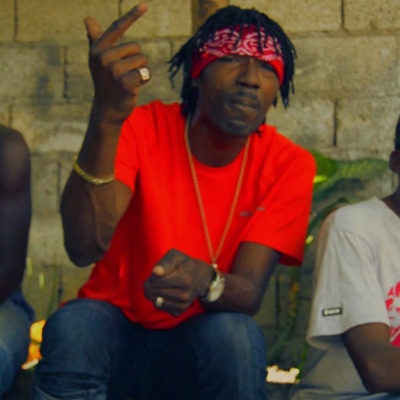 In 2007, Richie Ramus produced an underground mixtape, “Art of War,” on which he pitted the Fagan Fraternity against the Vibes Kartel led Portmore Empire. The album showcased George P as a dancehall standout, giving his fan base the firm and burgeoning foundation on which he stands today. As of the time of this writing, George P has been a professional musician for more than seven years. George P tracks can be found on the Shines Production, Estates Records, M1 and Down Sounds music labels. He has shared the stage with popular artists such as Busy Signal, Aidonia, Flexx, Movado and others. He has performed at Heineken Star Time, Movado Birthday Bash, community stage shows, High School Barbeques and twice at the Starfish Resort. George P offers special thanks to Mavado and Flexx for their support, and also to Supa Hype, Kibaki, and the rest of the Fagan Fraternity. “The Ghetto Prezident” from George P is available from over 600 quality digital music retailers beginning New Year’s Day, 2018. Get in early, reggae and dancehall fans.